Owning one of the city's most popular bistros might seem glamorous, but according to Jennifer Piallat, owner of Zazie in Cole Valley, life wasn't always gingerbread pancakes and mimosas. “From 14 to 18, I shucked oysters. It was awful,” said Piallat, laughing as she recalled days spent at her stepmother’s restaurant in Tennessee. Her early experiences in the kitchen may contribute to her current role as a restaurant owner who's taken unique steps to provide for her employees. After settling in San Francisco, Piallat worked at restaurants like Le Colonial, Miss Millie’s and Blue Plate before Catherine Opoix, the original chef and owner, hired her to be Zazie's general manager in 2000. First opened in 1992, Zazie had already established a strong reputation for its distinctive brunch service. By 2005, Piallat felt it was time to make a change and gave Opoix six months' notice. In response, Opoix suggested that she buy the restaurant instead of quitting. The notion started as a joke, but a few months later, Piallat and Opoix had the restaurant appraised. With help, Piallat was able to secure a loan and assume ownership in February of 2005. After taking over, she made monthly menu changes, installed patio heaters and shuffled the staff. “I moved one of the Mexican guys that was really good at brunch and brought him to dinner. Brought him to my house every night for six months and taught him how to make French food. Now, he makes the best braised dishes, just fall-apart dishes," said Piallat. "An experienced cook can learn anything. I’ll take an experienced cook over a culinary student any day," Piallat said. "He loved it. It’s a lot like Mexican cooking, a lot of braising. 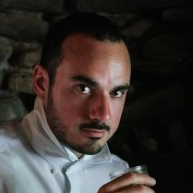 Francisco has been here ten years.” According to Piallat, changing the menu and decor, treating staff with respect and acknowledging the restaurant’s personality are the biggest drivers of success. “Dinners rival brunches now,” she noted. Although some of the staff were reluctant to buy into the program, watching one long-time employee cash out with over $16,000 convinced many of the others jumped on board. They now have nearly $1 million in the 401k for 32 employees with an average age of 25. Several years ago, when the healthcare ordinance came to San Francisco, Piallat studied her accounting—a skill she taught herself after taking over—to figure out where price increase would come to cover costs. More than anything, the move garnered Piallat media attention, which led her to to work with lawmakers and write an amicus brief in support of reform and break away from the Golden Gate Restaurant Association, a group that represents many of San Francisco's most popular and profitable restaurants. The minimum wage increase went to $12.25 from $11.05 on May 1 and will reach $15 on June 1, 2018. While many small business owners are bemoaning the increase, Piallat is adapting again by eschewing the tip system and raising prices for a profit-share model. As far as life after Zazie, Piallat said she'd like to work in the political arena. "Not necessarily as a politician, I don’t care about being in the spotlight in that way, but lawmaking. Working towards a better system for hourly workers, particularly for restaurants."